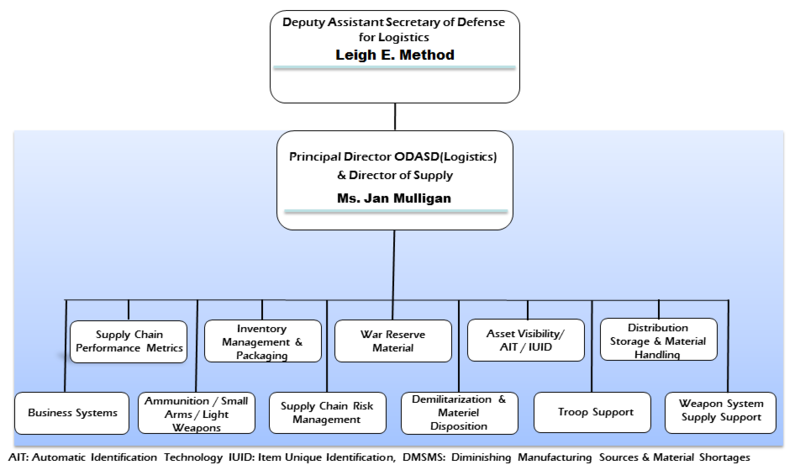 -Integrated strategies for supply management that optimize support to the warfighter. -Actionable policies that drive efficient, effective, and sustainable end-to-end supply performance. -Stategic supply governance and reporting. -Intregrated end-to-end global logistics and supply performance. Copyright © OUSD A&S ARA eBusiness Center. 1995 - 2014. All rights reserved.